Strengthens & tones: chest, arms, shoulders, back, abs & more! THE ULTIMATE 3 IN 1 PUSH UP WORKOUT! 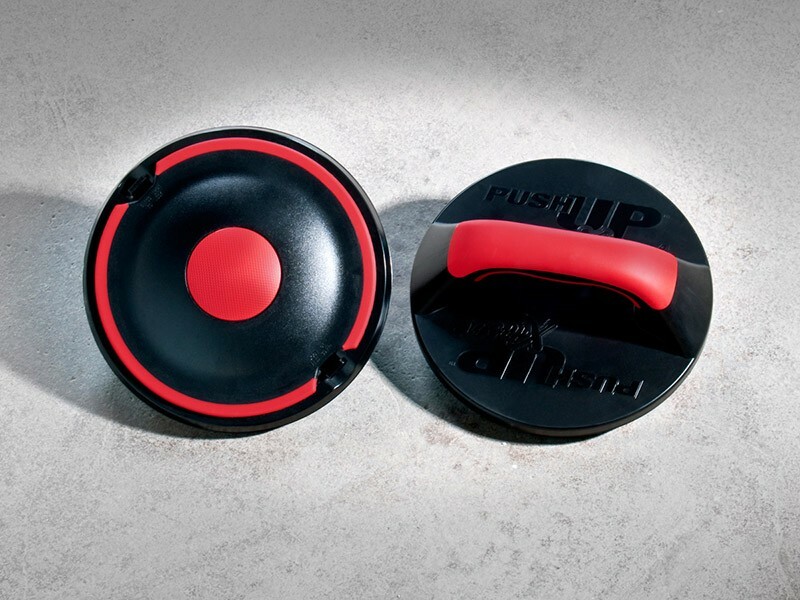 PUSH UP-MAX includes revolutionary 3 in 1 functionality that both varies the push-up routine as well as ensuring you keep challenging your muscles to perform and improve. 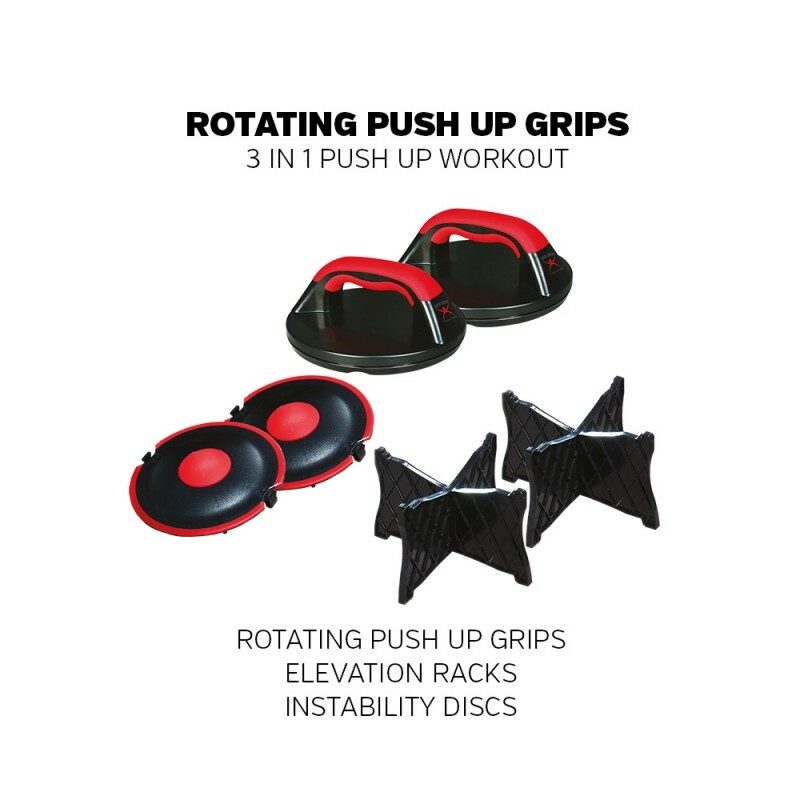 The design is based around a pair of specially developed rotating push up grips – a smooth rotation ensures muscles are targeted more effectively while reducing strain on wrists and joints as you work through the push up motion. Arms and shoulders move naturally whilst more muscles are targeted more effectively. 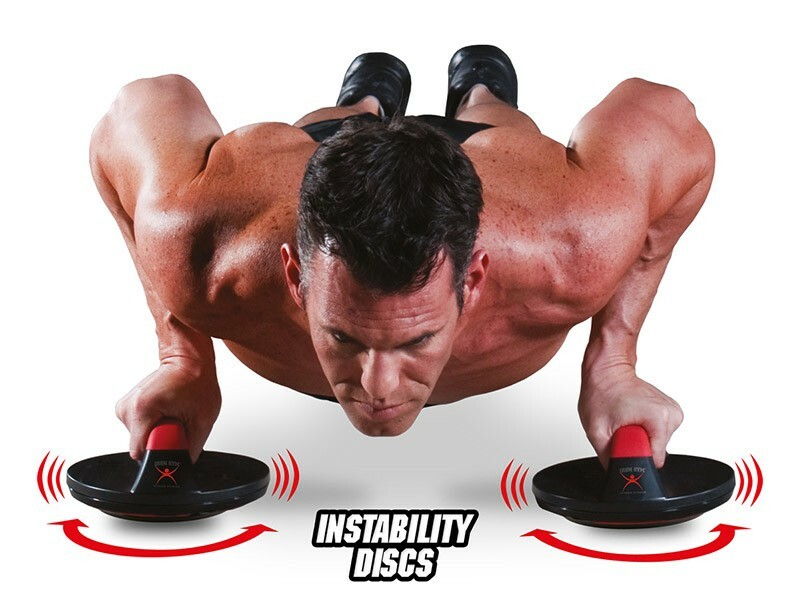 To vary the routine you can add instability discs to PUSH UP-MAXTM, which challenges your core and stabilizer muscles for rock hard abs. 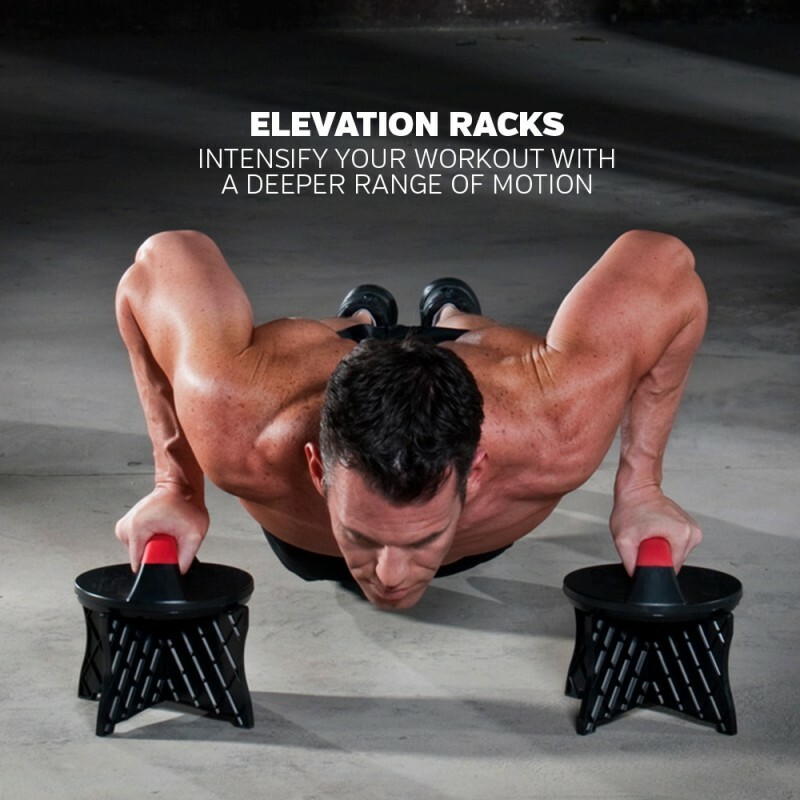 Then the addition of the elevation racks means you can instantly intensify your workout with a deeper range of motion. 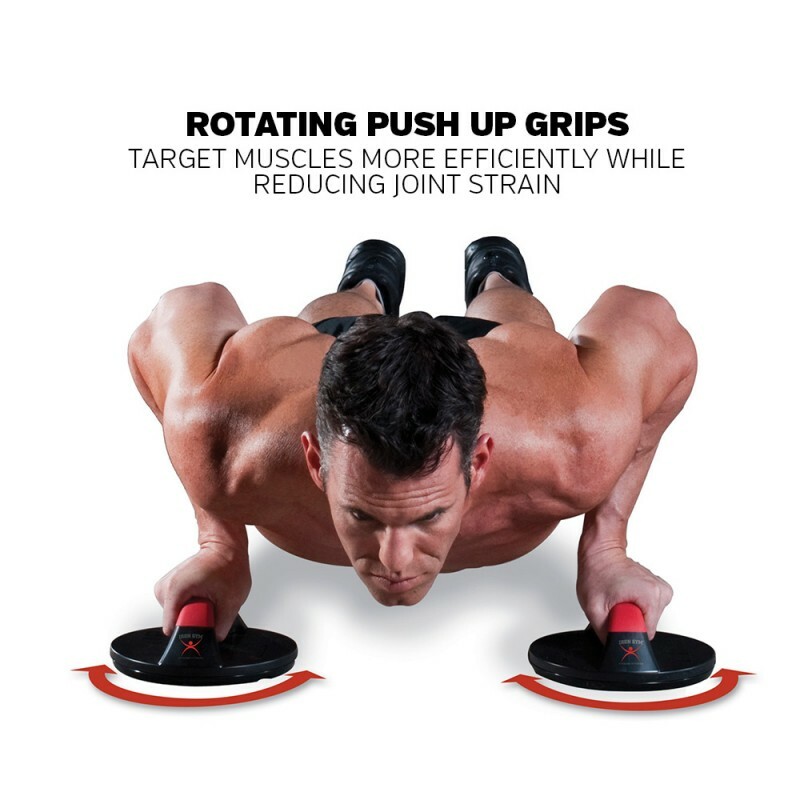 Used together these push-ups options help you build a stronger, more ripped upper body faster than ever before. 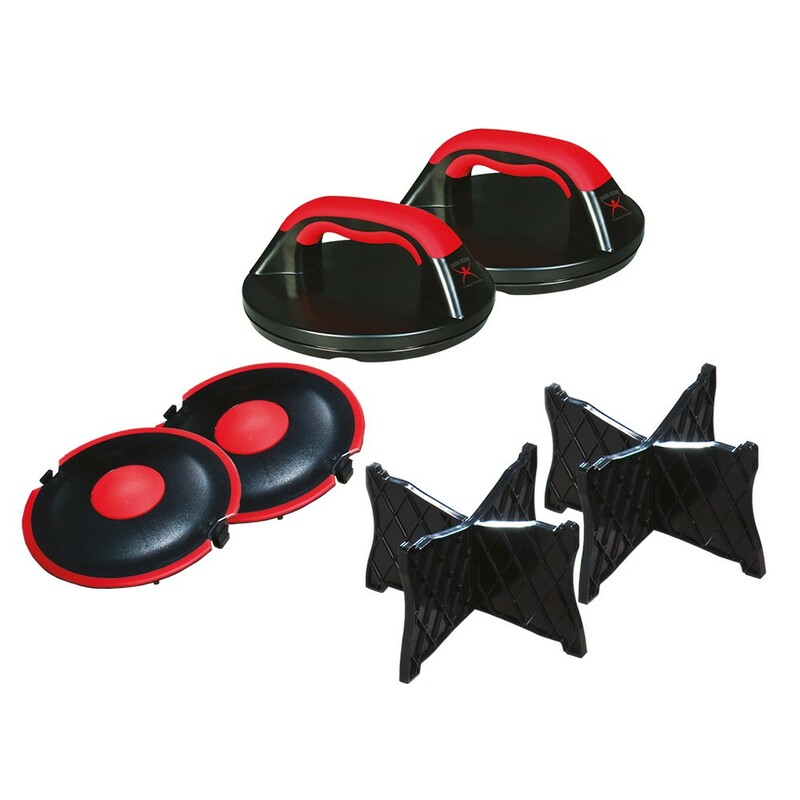 Set of 2 rotating push up grips, instability discs and elevation racks. 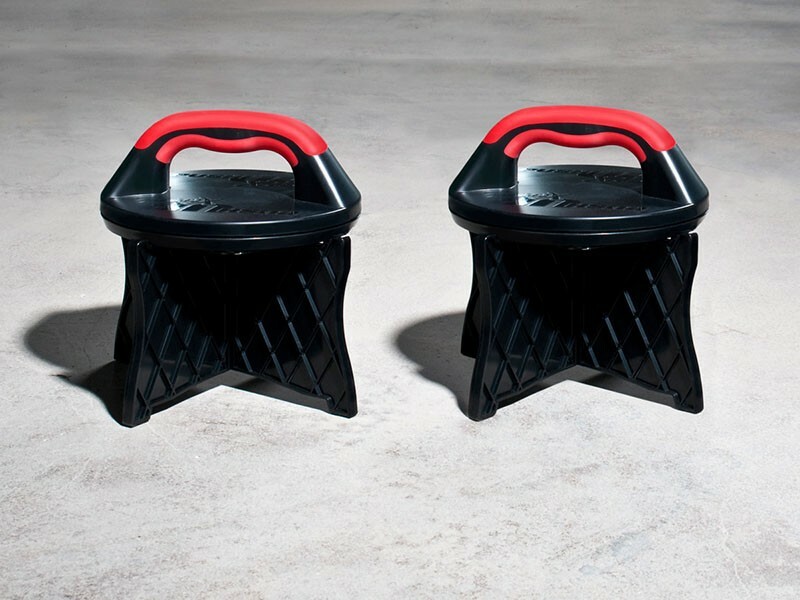 Elevation racks: intensify your workout with a deeper range of motion. Instability discs: challenge your core and stabilizer muscles for rock hard abs. Push ups are a barebones muscle-building exercise that’s incorporated in nearly every major athlete’s training program because they work. Simple as that. They target your arms, chest, and core, serving as one of the most efficient bodyweight movements you can do. 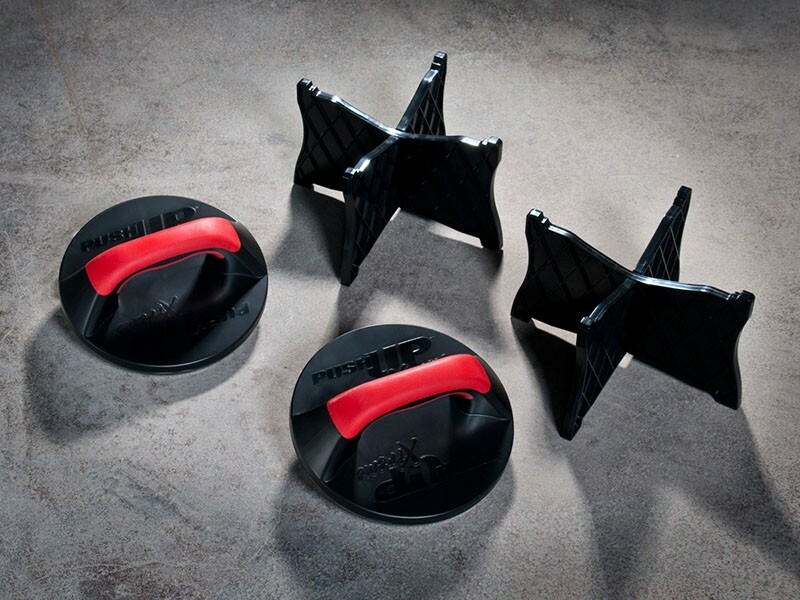 Better yet, you can do them out anywhere, anytime and easily up the intensity by changing the elevation, adding equipment and moving your hand and feet positioning , even adding instability. Actually, it’s best you add some variety; exercise tedium is as bad for your motivation, as it is for your muscles. 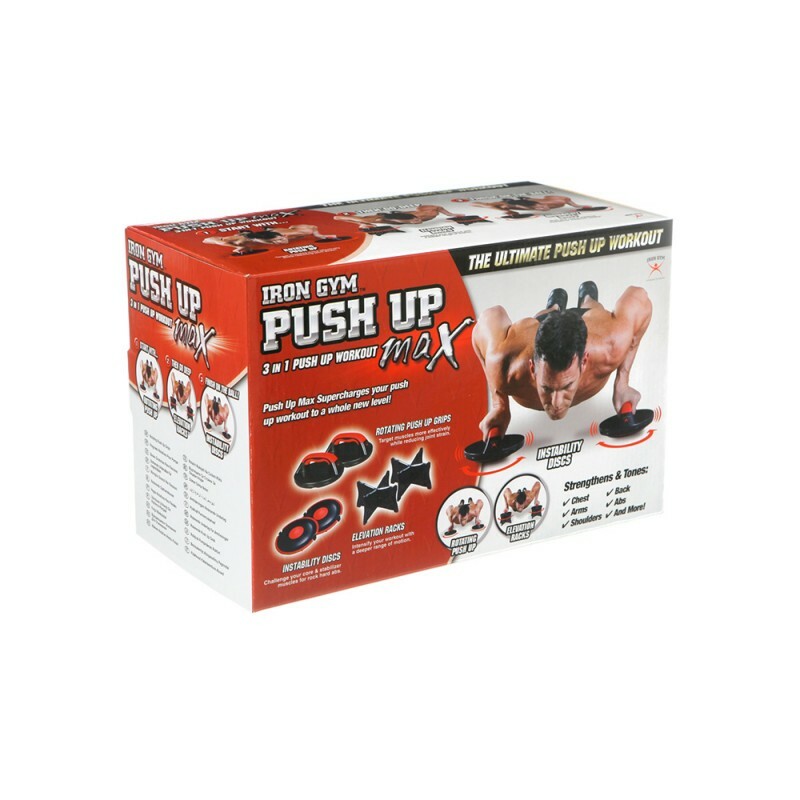 With rotating IRON GYM® Push Up MAX handles, you can easily vary you push up -training routine, creating muscle confusion and maximizing your results!